VIN# K9581939 MSRP $59,215. 0% APR up to 60 months at $16.67 per $1,000 financed. With approved credit. $10,384 savings is a combination of dealer discounts and manufacturer incentives. No security deposit. See dealer for details. Expires 4/30/19. 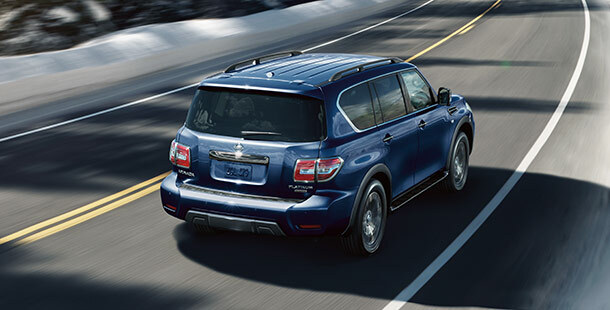 Before you even set foot in your 2019 Nissan Armada, you'll notice the tough posture the curves create and confidence it inspires. It fills you with a sense of adventure, and the Armada is all too willing to take you wherever that adventure is. 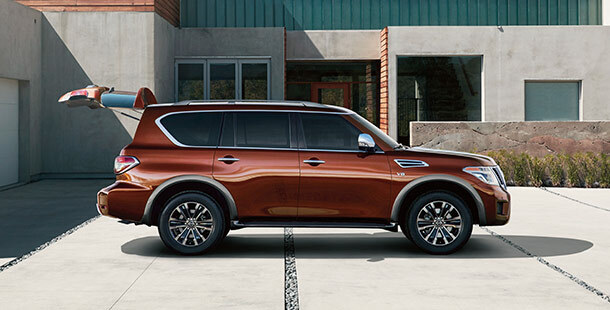 The 2019 Nissan Armada is a powerhouse of performance. The 5.6L V8 delivers 390 horsepower and 394 lb.-ft. of torque to conquer highways and off-road trails alike. Aiding you in gaining maximum control over all terrain types is Nissan Intelligent Mobility™. Finally, take all the toys you want with you wherever your adventure lies thanks to a max towing capacity of 8,500 lbs. 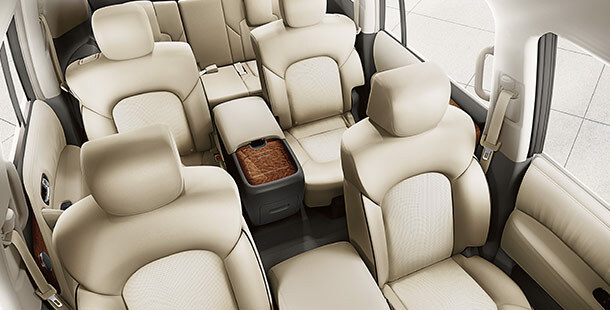 Comfort doesn't take a backseat in the 2019 Nissan Armada. Relax and enjoy the quiet ride with sound absorption materials and acoustic glass to tune out noise outside the cabin. High-quality leather seats and ambient interior lighting round out your experience. The 2019 Nissan Armada is packed with plenty of advanced technology to enhance your driving experience. Control it with an 8” touch-screen with voice recognition navigation and audio streaming via Bluetooth®. You can even remotely start the engine, change temperatures and unlock doors with NissanConnect® Services Skill with Amazon Alexa™. 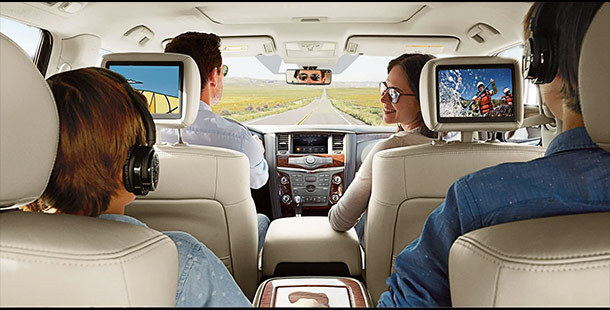 Explore with confidence in your 2019 Nissan Armada thanks to a suite of innovated safety features that help you focus on what's important - enjoying the ride! These features include Intelligent Lane Intervention, Intelligent Forward Collision Warning, Intelligent Blind Spot Intervention, automatic emergency braking and much more! The 2019 Nissan Armada checks all the boxes when it comes to giving you a powerful driving experience. Wherever your adventure takes you, get there in comfort and style in your striking new Armada from Zeigler Nissan of Orland Park. Test-drive yours today.